Award-winning TV presenter Clare Balding and sailing legend Shirley Robertson and Stevie Morrison will present BT’s coverage of Sir Ben Ainslie’s bid to bring the America’s Cup back to the UK. Starting on Friday 26 May, BT Sport will be showing 23 days of exclusively live coverage from Bermuda until the finale on Tuesday 27 June. BT’s commitment to make televised sport more accessible will also see the first 12 days of live racing from the Qualifiers and the Challenger Play-off semi-finals plus highlights from the Challenger Final and the Match broadcast on BT’s Freeview channel, BT Sport Showcase HD channel 115 and Virgin channel 548. Clare Balding will anchor BT Sport’s coverage and alongside her will be double Olympic gold medallist Shirley Robertson as reporter and Stevie Morrison providing expert analysis. BT Sport will show exclusively live all of the America’s Cup action from Bermuda, from the Qualifiers through to the America’s Cup Match across 23 days. This year’s competition will see the most successful Olympic sailor of all time, Sir Ben Ainslie, hoping to win the oldest trophy in international sport with his Land Rover BAR team and the America's Cup race boat “Rita”. BT is Land Rover BAR’s Official Technology in Sustainability Partner. 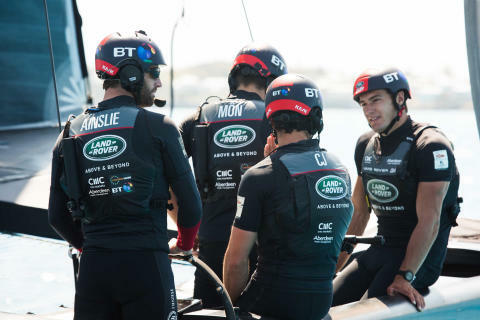 BT has designed 4G wireless and fixed networks for the Land Rover BAR team allowing data relating to the catamaran’s performance, local sailing and weather conditions to be collected and transmitted direct from the boat back to “Mission Control” at the team’s operations centres in Bermuda and the UK.